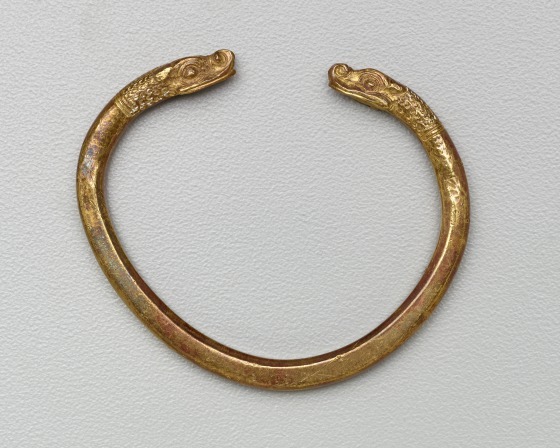 Chronologically and geographically, the term "Near Eastern jewelry" covers an enormous field. 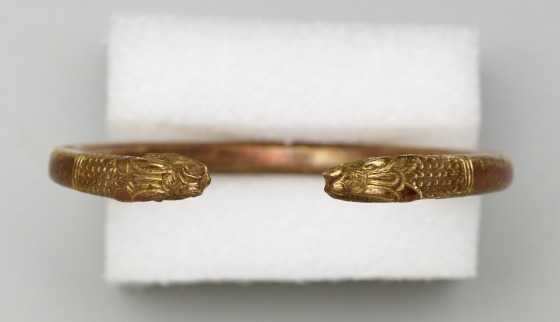 The three Near Eastern objects in the Moretti Collection of Ancient Gold Jewelry at the Dallas Museum of Art (see also 1991.75.97.a-b, 1991.75.98) date to the 1st millennium BCE and come from Persia (modern-day Iran) or Asia Minor (modern-day Turkey). 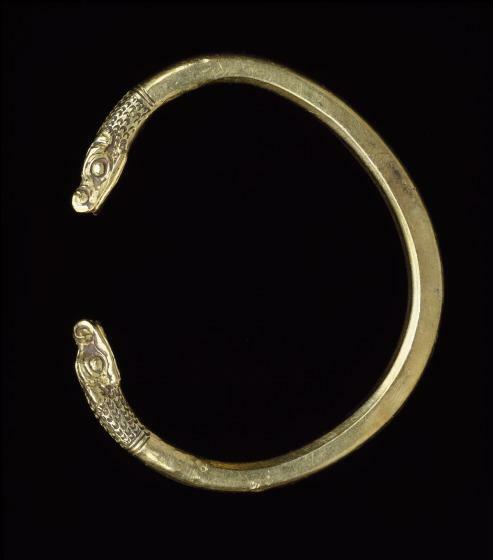 This bracelet is very similar to another in the DMA's collection (1991.75.98), although it is smaller and the hoop is flattened on both sides. 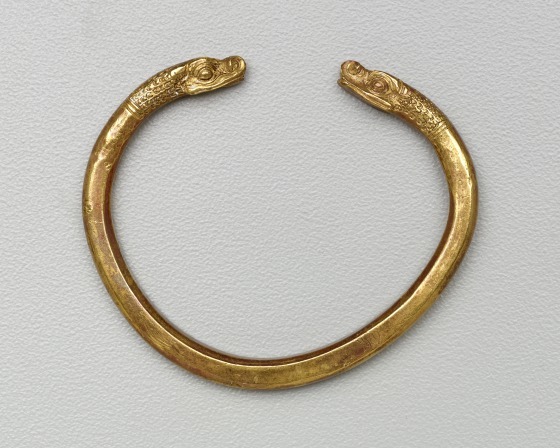 Barbara Deppert-Lippitz, Ancient Gold Jewelry at the Dallas Museum of Art (Dallas: Dallas Museum of Art in association with the University of Washington Press, 1996), 119; 146.